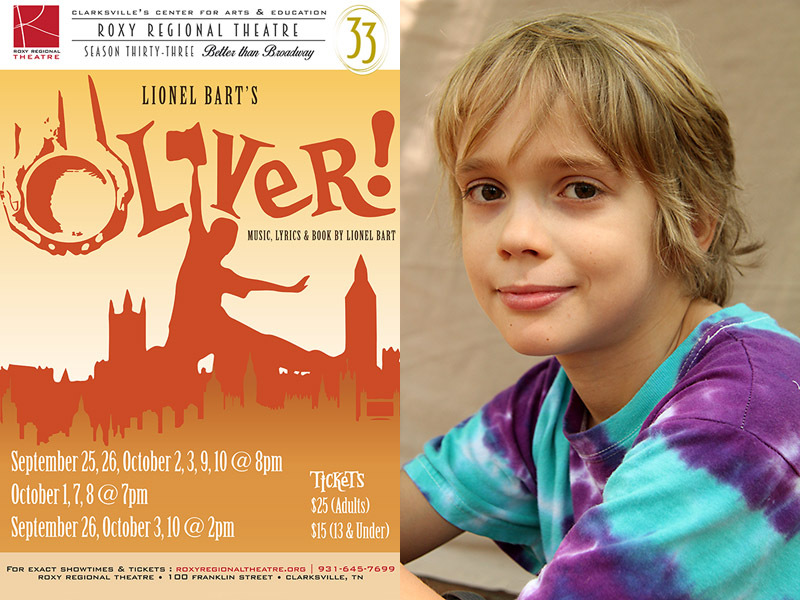 Clarksville, TN – Lionel Bart’s “Oliver!”, a musical which has touched the hearts of millions, will provide an unforgettable opening to the Roxy Regional Theatre‘s 33rd Season, beginning Friday, September 25th, at 8:00pm. Complemented by Lionel Bart’s timeless score, “Oliver!” features such memorable numbers as “Food, Glorious Food,” “Consider Yourself,” “Pick a Pocket or Two,” “Who Will Buy?” and “As Long As He Needs Me.” One of the most popular musicals in the world, this production was nominated for 10 Tony Awards including Best Musical, and the 1968 film version won the Academy Award for Best Motion Picture. Introducing Magnus DoVanne as Oliver Twist, “Oliver!” features John McDonald as Fagin, Alicia Jayne Kelly* as Nancy, Timothy Houston as Bill Sikes, Matthew Smolko as Mr. Brownlow, Anthony Logan Cole as Mr. Bumble, Nate Miller as the Artful Dodger, Landen Daniel as Charley Bates, Anna Ryan as Bet, Ryan Bowie and Rori Nogee as Mr. and Mrs. Sowerberry, Kelley Barker as Charlotte Sowerberry, Jackie Ostick as the Widow Corney, Michael Jemison as Noah Claypole, Linda Ellis Cunningham as Mrs. Bedwin, and Andrew Patton as the Bookseller Boy. Rounding out the cast as the workhouse children are Breanna Cox, Aramae DoVanne, Ava DoVanne, Arianna Grey, Truman Jepson, Jacob Johnson, Sidney McCarty, James McNiel, Lauren Mund, Kylan Ritchie, Tanner Sigears, Caden Slaughter and Georgia Smith. Friday, September 25th, is the theatre’s traditional pay-what-you-can preview. All tickets not pre-sold at the regular ticket price will go on sale at 7:30pm that evening for whatever price patrons wish to pay ($5.00 minimum). “Oliver!” runs September 25th through October 10th, playing Wednesdays and Thursdays at 7:00pm, Fridays at 8:00pm, and Saturdays at 2:00pm and 8:00pm. There is no performance on Wednesday, September 30th. This production is made possible in part through the generous support of Dr. Hunter R. Clouse, Larry & Barbara Goolsby, Timothy & Kris Lee, and Walter & Cindy Marczak. 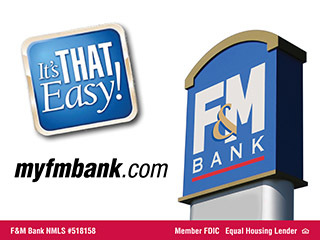 Additional funding support has been provided by Jill T. Crow, James Holleman, Nancy Ladd and Starlene Shackelford Sykes.